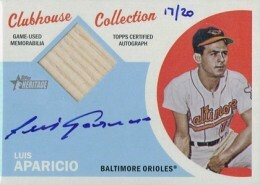 What Are the Most Valuable 2012 Topps Heritage Baseball Cards? 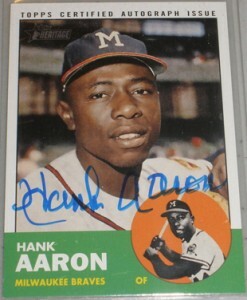 Autographs from retired legends have proven to be the top sellers thus far in 2012 Topps Heritage Baseball. Of the ten highest single-card sales registered on eBay during the set's first week of release, all but one had a Hall of Fame signature (or a redemption for one). 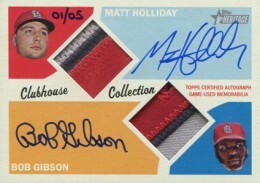 While that's not surprising, the fact that an autographed dual-patch card featuring Matt Holliday and Bob Gibson outsold everything else is. Numbered to 5, the Clubhouse Collection Autographed Dual Relic has a pair similar three-color swatches and clean signatures from both players. Bidding closed at a very strong $621. 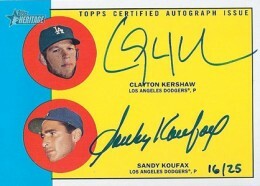 Next up was a Real One Dual Autograph of Dodger greats past and present, Sandy Koufax and Clayton Kershaw. 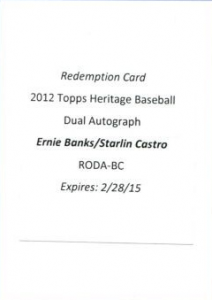 Numbered to 25, the card sold for $550. 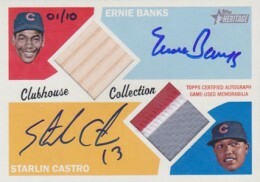 Sticking with the dual signature theme, the third top-selling 2012 Topps Heritage Baseball card on eBay was a Clubhouse Collection Autographed Dual Relic of Ernie Banks and Starlin Castro. Finishing at $520, the card is limited to 10 copies. 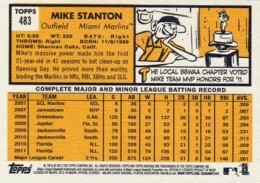 Proving once again that errors and variations create interest, a 2012 Topps Heritage Baseball Mike Stanton Error SSP variation sold for $500. 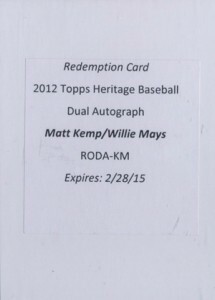 The variation is found on the back of the card. The Runs stat column, which should have an "R" is instead headlined by a "W."
Like 2012 Topps Tribute, a fair number of the high-end hits come in the form of redemptions. Of the top ten eBay sales, three come with the bleach white promissory note.